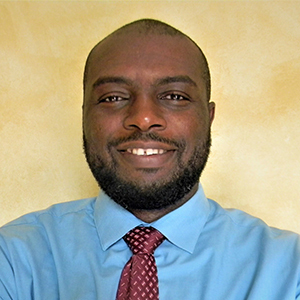 Dr. Nlenanya is a transportation research specialist and coordinator of the Iowa Pavement Management Program at the Institute for Transportation at Iowa State University. Mr. Nlenanya has more than eight years of experience in transportation engineering primarily in the integration and utilization of information systems, particularly geographic information systems (GIS). His professional experience has focused on conducting research in the areas of safety, asset management, and the integration of risk management in transportation engineering. In addition, he also conducts research on the impacts of the bioeconomy and food system on transportation infrastructure. The Actual Cost of Food Systems on Roadway Infrastructure, Leopold Center, Iowa State University. Bektas, F., O. Smadi, and I. Nlenanya. 2015. Pavement Condition: A New Approach for the Iowa DOT. 94th Transportation Research Board Annual Meeting, Washington, DC, January 11–15. Pyrialakou, V. D., I. Nlenanya, and K. Gkritza. Passenger Transportation Networks and Urbanization Level: Comparison of Classification Schemes. 2014. 93rd Transportation Research Board Annual Meeting, Washington DC, January 12–16. Gkritza, K., I. Nlenanya, W. Jiang, R. Sperry, and D. Smith, 2012. Bioeconomy and Transportation Infrastructure Impacts. In Green Energy and Technology: Bioenergy and Bioproducts. Kasthurirangan Gopalakrishnan, J. Hans Leeuwen, and Robert C. Brown, Eds. SpringerVerlag Inc., New York, NY. Gkritza, K., I. Nlenanya, W. Jiang, R. Sperry, and D. Smith. 2011. Infrastructure Impacts of Iowa’s Renewable Energy. Transportation Research Record: The Journal of the Transportation Research Board. Vol. 2205, 238–246. Nlenanya, I. 2008. Building an Environmental GIS Knowledge Infrastructure for Development in Sub-Saharan Africa. In Data Mining Applications for Empowering Knowledge Societies. H. Rahman, Editor. IDEA Group, Inc., Hershey, PA.
Nlenanya, I. 2005. Knowledge Discovery Interface for Environmental Science Applications. Master’s thesis. Iowa State University, Ames, IA. Nlenanya, I. 2015. Towards a more interactive pavement management paradigm for local agencies. Annual GIS-T Symposium, Des Moines, IA. April 19-22. Nlenanya, I. 2011. Asset Management: Data to Information. 24th Annual GIS-T Symposium, Hershey, PA. March 28-30. Nlenanya, I. (Co-presenter) 2009. Using GIS for HIV/AIDS Intervention Decision-Making in Nigeria. Environmental Systems and Research Institute (ESRI) Health GIS Conference, Nashville, TN, September 21-23. Nlenanya, I. 2009. The Actual Cost of Food Systems on Roadway Infrastructure, The 2009 Mid-Continent Transportation Research Symposium, Ames Iowa, August 20-21.